Sometimes, you get kicked in the head. And when a shin makes contact with your head, you usually go to sleep. 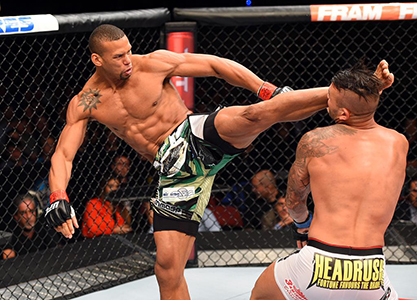 That’s what happened to Steve Bosse, when Thiago Santos’ shin made contact with his head.